All of our trees are sourced from sustainable plantations. After Christmas, the trees are recycled making live trees a great environmental option. We offer special low-drop premium quality ‘Nordman’ interior trees. You can rent fully decorated Christmas tree, dressed with white lights and a choice of coloured decorations to suit your scheme or corporate identity. All our trees are carefully picked in order to guarantee attractive shape and appearance. Trees are available from 1.8m (6ft) to 4.50m (15ft) tall for interior use. 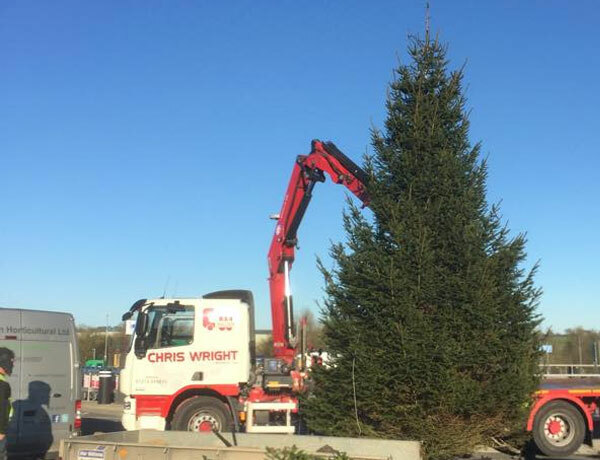 We normally deliver the trees in early December and remove them after Christmas before the twelfth night. We provide you with care instructions, to ensure that your tree remains in the best possible condition throughout the season. We also supply and install exterior live Christmas trees for clients such as Leeds Bradford International airport. Advice is available from our excellent management teams on all aspects of the seasonal work we carry out.